Happy 1st Anniversary to ETUDE HOUSE Wisma Flagship Store! ETUDE HOUSE Wisma Atria is the world’s largest ETUDE HOUSE Flagship Store in Singapore. 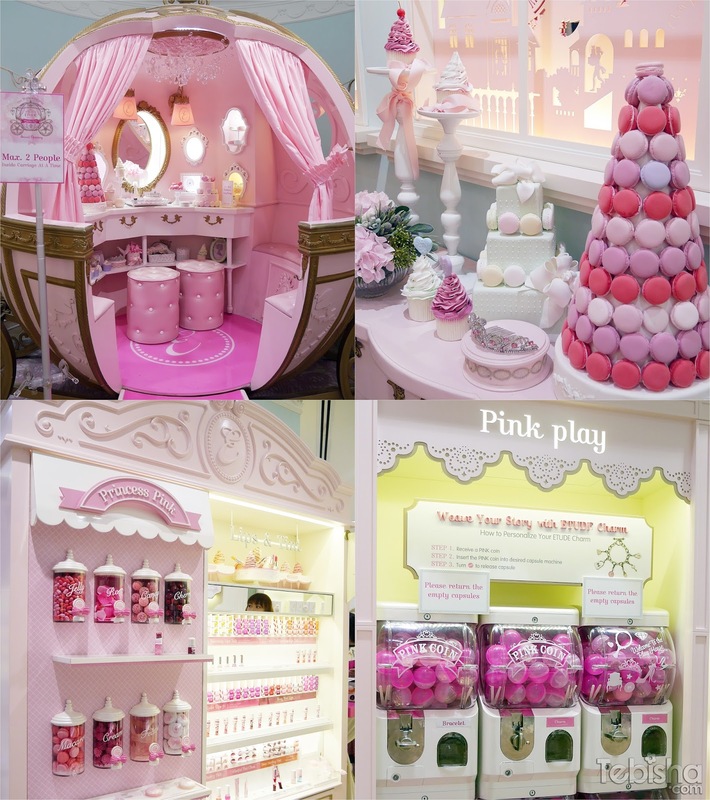 I feel like a princess whenever I visit the store, they have lift-size pumpkin carriage, photo booth, capsule machine, different makeup zones and counters for us to try and test the products. I’m honoured to be one of the invited guest to experience the whimsical birthday party and witness the exclusive makeup demonstration by Celebrity Makeup Arist Clarence Lee. Green eyeshadow will be more suitable for Asian skin compared to Blue eyeshadow. Play 101 pencils not just an eyeliner, use them as concealer, blusher, for contouring, eyebrow color, eyeshadow, highlighter, or lip colour. 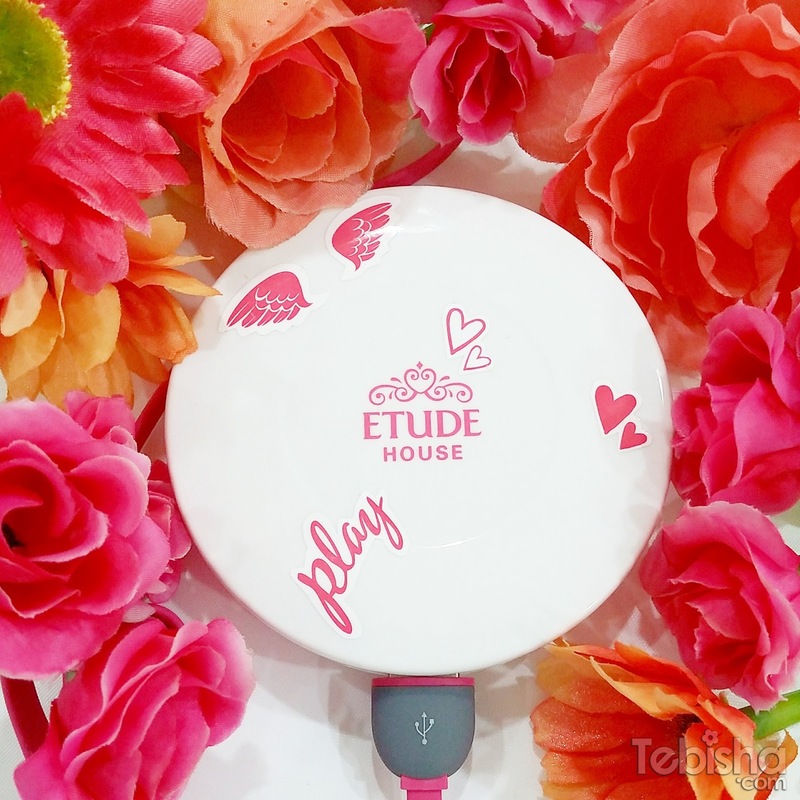 Last activity of the party, we get to personalise our very own ETUDE HOUSE Power Bank! 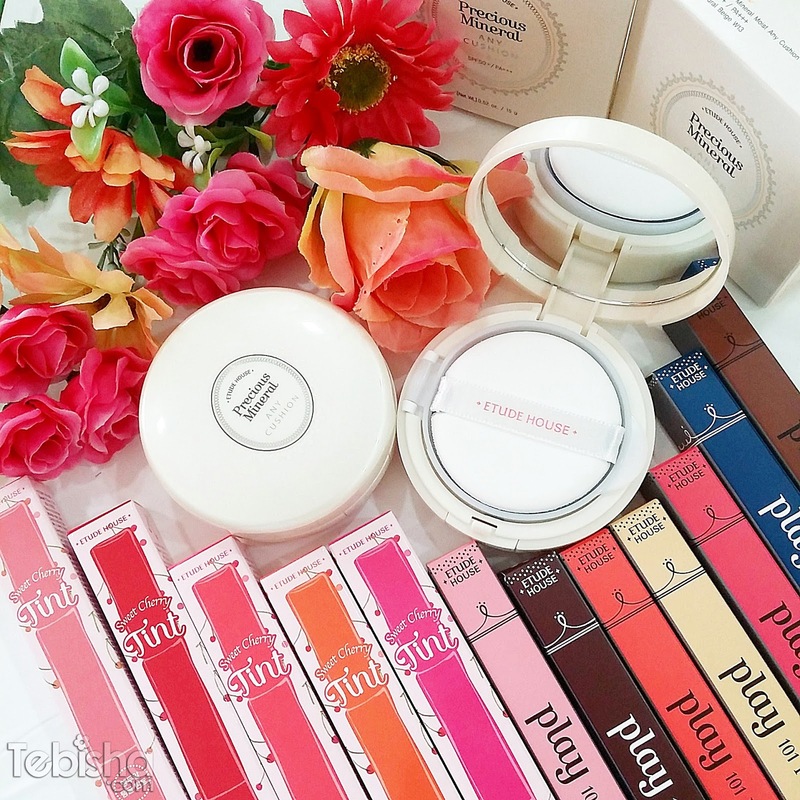 Thanks ETUDE HOUSE for the lovely gifts, I’m going to share my reviews and swatches below. The new Precious Mineral Moist Any Cushion is now longer-lasting and moisturising to the existing Any Cushion. Formulated to hydrate deeply, it is filled with Baobab Water which contains four times more Hyaluronic Acid than existing Any Cushion products. This keep the skin moist and comfortable during and after makeup application. The Precious Mineral Moist Any Cushion also helps skin rediate with health with a Glow Lock Complex – its high light refractivity forms a clear layer on skin to enhance radiance and prevent moisture evaporation. 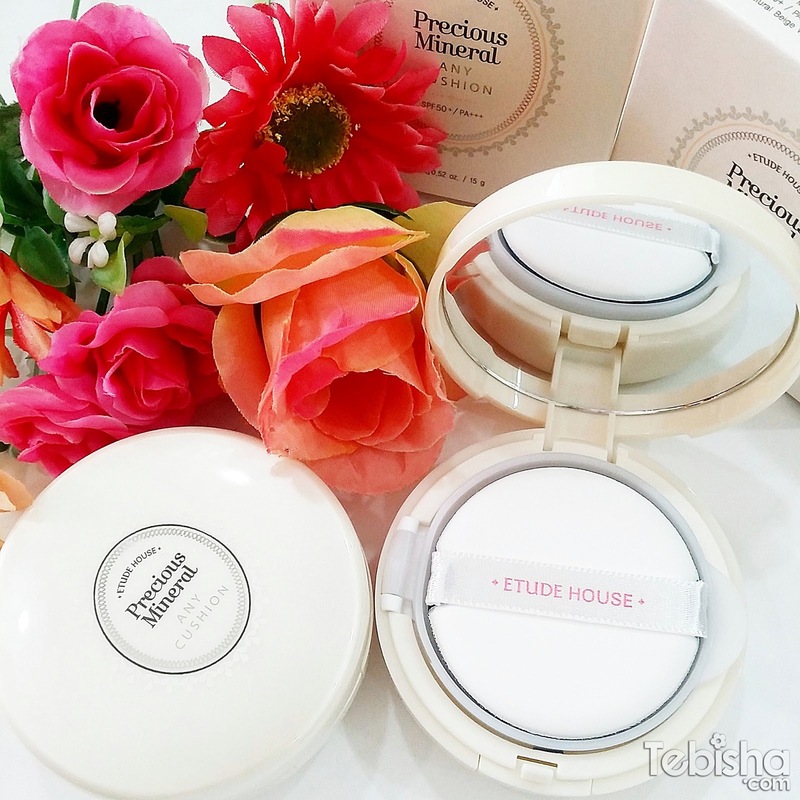 My thoughts: I really love the new Precious Mineral Moist Any Cushion, I find it is more hydrating, easy to apply and non-sticky compare to the existing Any Cushion. It leave my skin smooth and balanced my uneven skin tone perfectly. The coverage is good as well, minimal concealer needed. If you are travelling to cold countries this holiday season and want to have a long-lasting smooth, moist and radiant skin even in cold weather. You have to try out Precious Mineral Moist Any Cushion, made for ultimate moisture and radiance. Lip tint that provides moist, shiny, plump looking lips like a sweet cherry. Gel-type pencil that comes with vivd colours and various textures for easy and fun makeup play. Many thanks Touch PR and ETUDE HOUSE Singapore for the invitation and the awesome goodies. Once again, Happy 1st Anniversary ETUDE HOUSE Wisma!